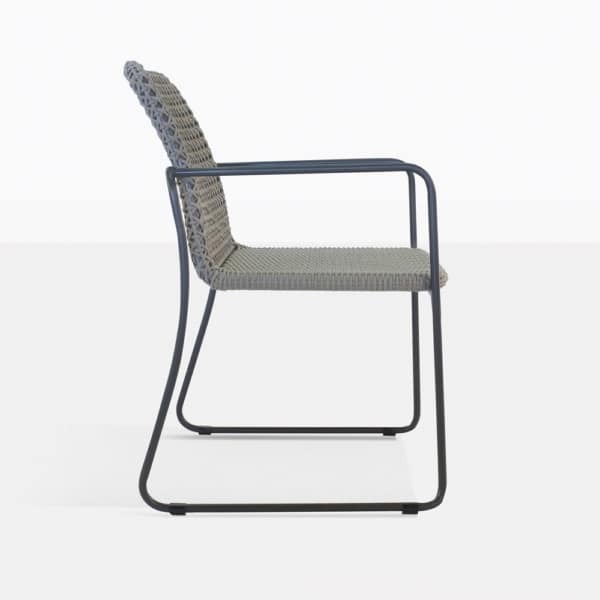 Add texture and style to your dining area with the Kelli Rope Outdoor Dining Chair. The stunning design is interesting and contemporary. You can choose to pair it with many different styles of patio dining tables. The powder-coated aluminum frame has a woven seat and back support. 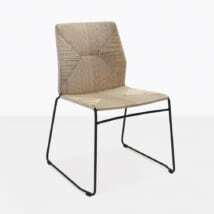 It is expertly woven and is comfortable so that no cushion is needed. 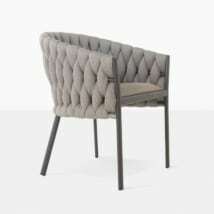 The unique curve of the legs and the rounded edges are interesting design elements and that will be sure to add a high style look and feel to your dining setting. 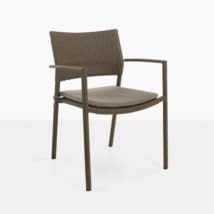 W22.25" x D24" x H33"
Teak Warehouse has an unbelievable amount of outdoor dining chairs to choose from, find your perfect chair that reflects your style today! We are open daily and ready to help you complete your patio dining space. 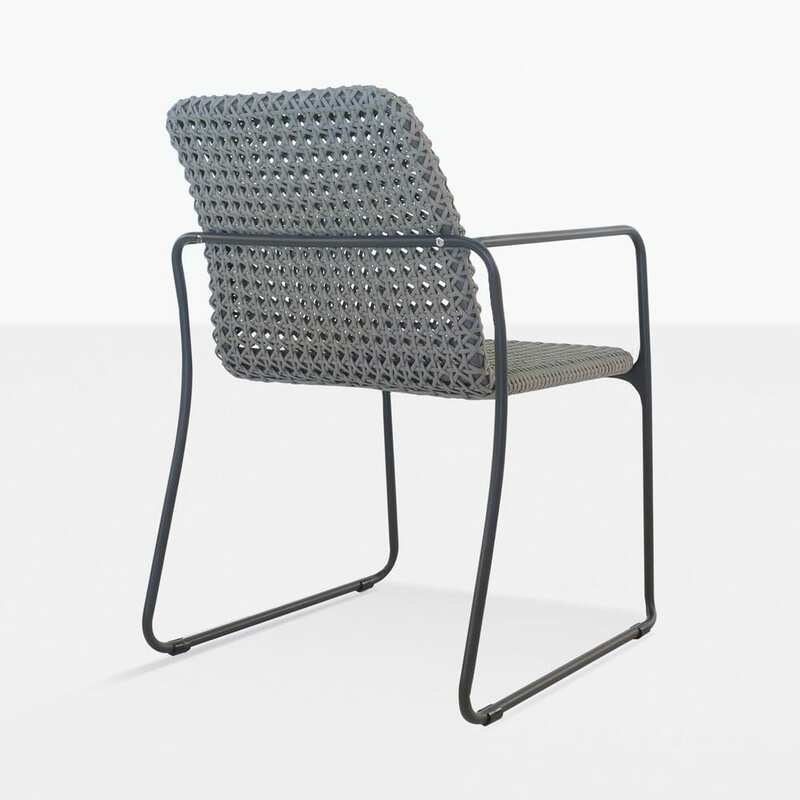 Powder-coated aluminum is a durable, lightweight and good looking material for outdoor furniture. 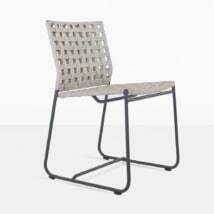 It utilizes lightweight and strong aluminum, which is powder-coated. The powder coating process creates a full exterior coating of durable polyester particles which adhere to the aluminum with an ionic charge and are then cured in an oven at higher temperature to ensure it is sealed in place. Powder-coating offers a physical barrier to corrosion, moisture and unevenness. 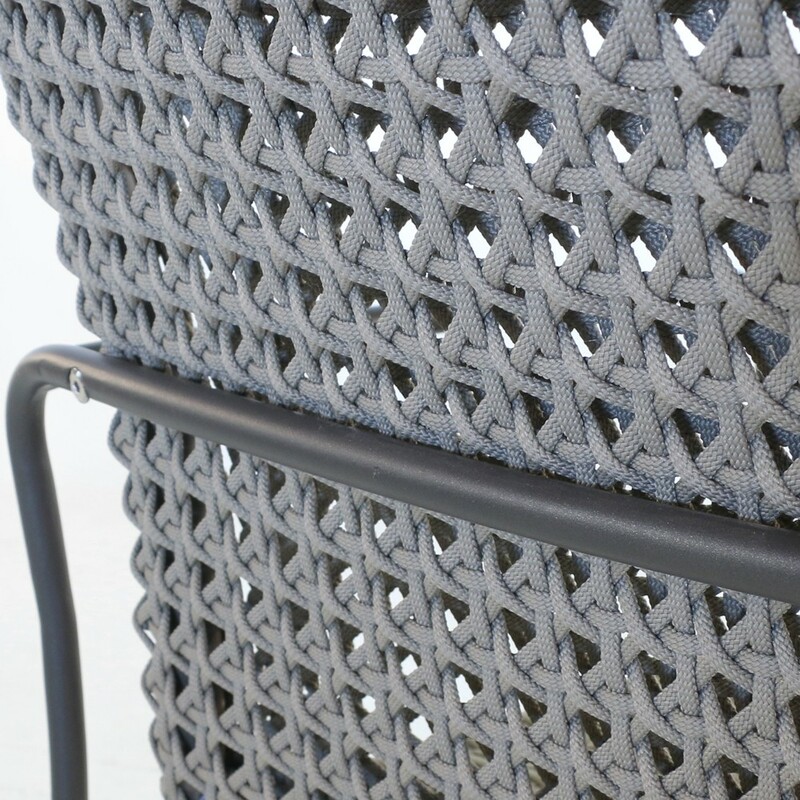 Rope is such an exciting material because it is durable and the possibilities for the number of different looks are endless. The thickness of the strands, the colors, the texture, and the patterns are all considered for each design. 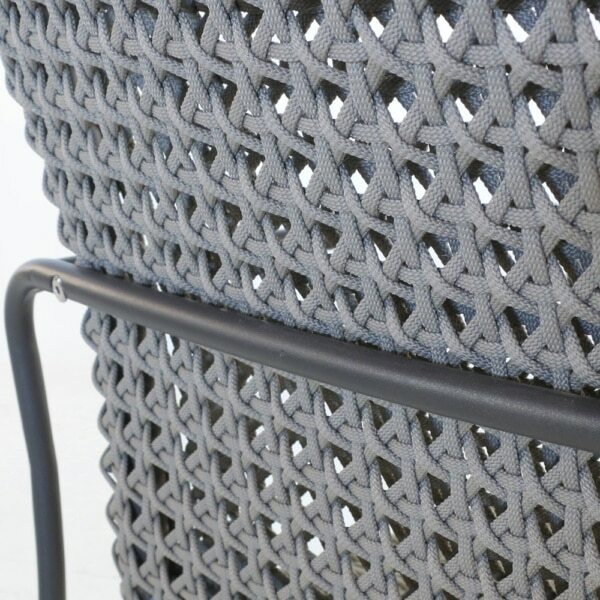 Rope can be woven around aluminum, steel, and teak frames to make the most interesting pieces. Because Powder-Coated Aluminum is a corrosion resistant material, there is very little care necessary. 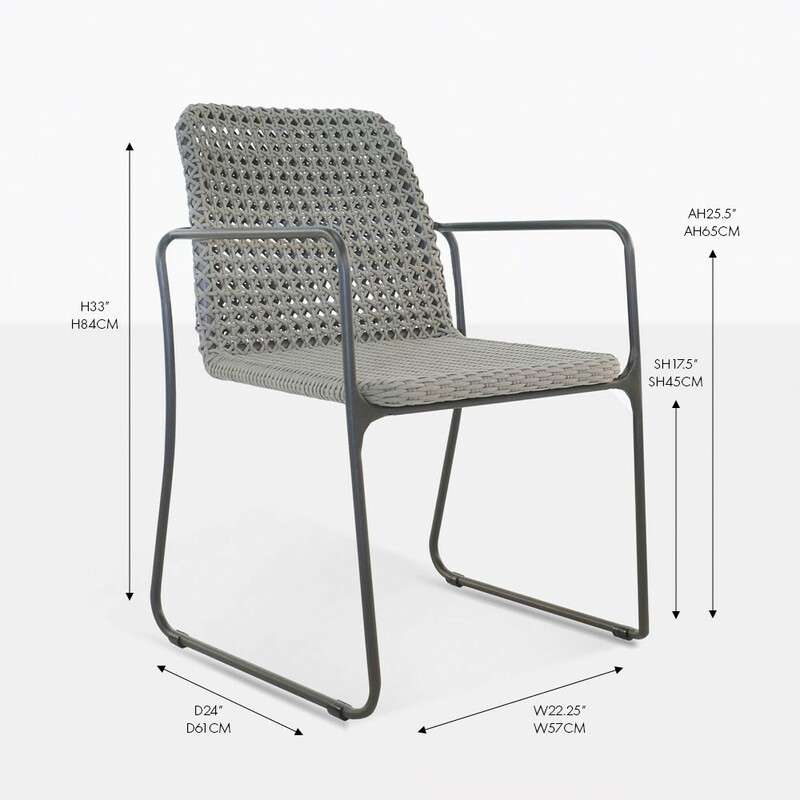 To keep your Powder-Coated Aluminum furniture looking great and offering the best resistance to the elements see our specific care instructions. 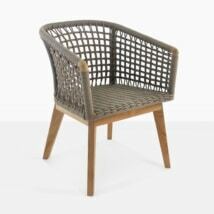 Rope is an innovative material that along with a strong structure makes stunning furniture designs. It has been specially engineered to be used for outdoor furniture. It is durable, and weather resistant and will last for a long time with proper care. To keep you rope furniture looking good it is important to wipe up an spills immediately. You may spot clean an area by applying a mist of mild soapy water and work in the solution with a soft cloth by blotting or using light pressure. Rinse off the solution thoroughly and allow it to air dry. Do not use abrasive materials, excessive scrubbing or a high-pressure hose. And please keep sharp objects away from the rope to avoid any cutting or fraying.